For designers, marketers, and those who work in the creative sphere, holidays are always an opportunity to get your audience involved. Luckily, the first month of spring is full of newsworthy events. March 8th is International Women’s Day, March 17th — St. Patrick’s Day, while March 20th is the equinox — the time when one can finally say: spring has come. 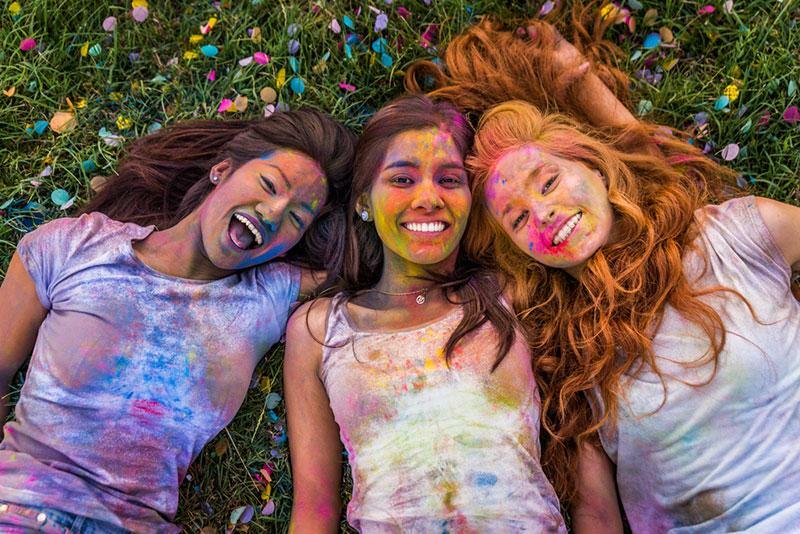 Another great occasion and a festive event is on March 20th, also known as the beginning of Holi festival of colors. Originally deriving from India, it rejoices the victory of good over evil, but across the globe, it is often referred to as the spring festival. It is already warm outside, nature is blooming and it is high time to partake in the two-day celebration of Holi. 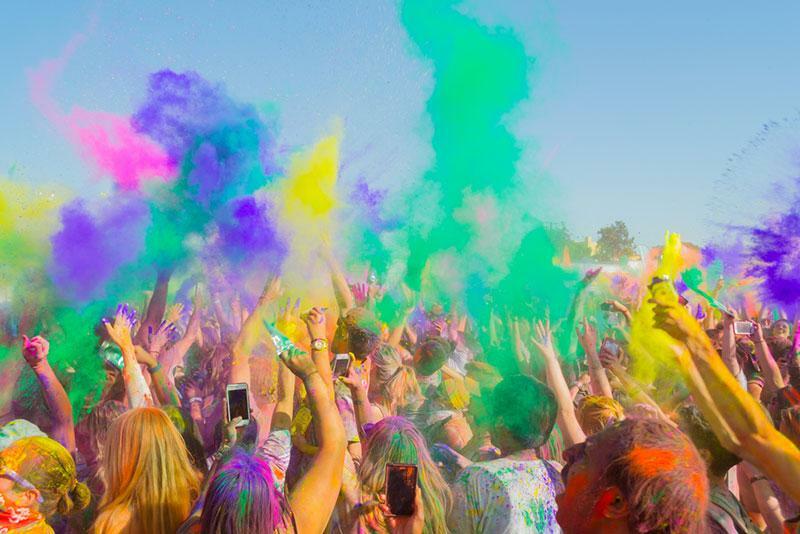 Check out the event at your city or book a flight to India and get prepared for the brightest festival ever. *By clicking on the images, you will be redirected to the Depositphotos website where you can purchase them. 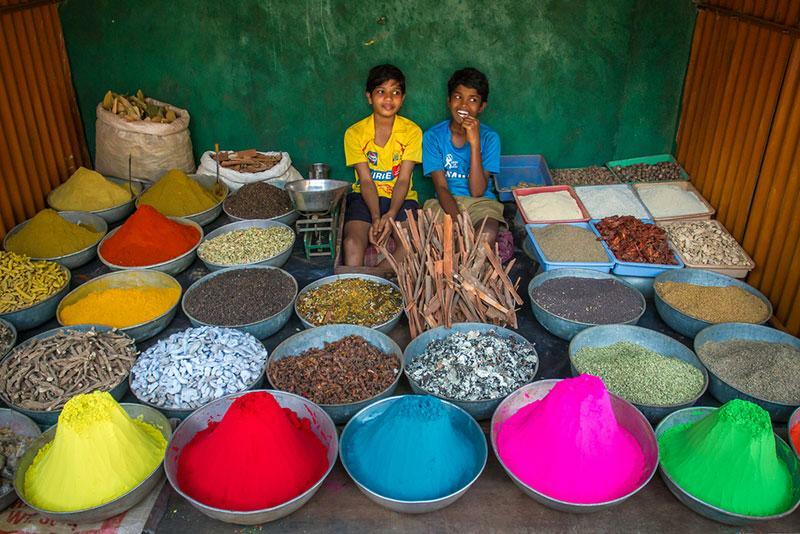 Powders are an integral part of the Holi festival of colors. Usually, powders are made from natural sources, plants and herbs, for example. Green is made from leaves, yellow and red come from turmeric, and black is charcoal. Order it from Amazon or make it yourself and go on an adventure. 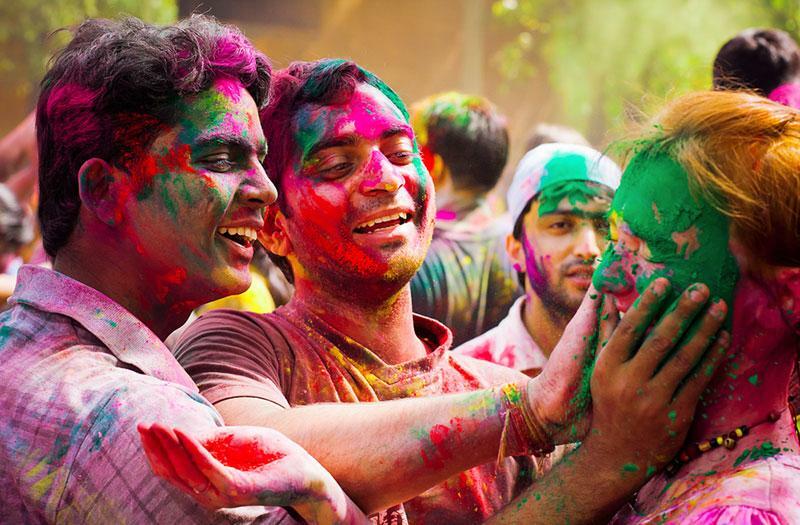 Once you are at the festival celebration, all the people around you will be smearing and throwing colors over you. Grab a color you like and join the fun. Participating in Holi and standing aside is impossible. Everyone smears powder on each other. Be generous to your friends or people you meet and reward them with an entire color spectrum of powder. Holi is one of those celebrations when you forget about the religious background and dance, sing, and enjoy yourself. What can be better than spending time with family and friends? Don’t forget to take pictures of the celebration. 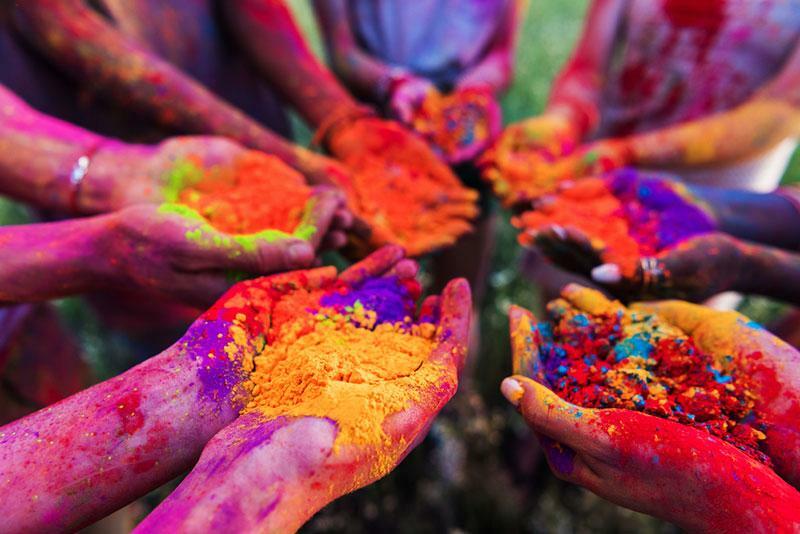 Celebrate Holi festival of colors with the most bright and bold images from Depositphotos. See dozens of Holi festival images that you can use for projects this year. Maria is a former student at the University of Arts London, MA Publishing. Currently, a copywriter, who reads a lot, loves to travel (30+ countries), and explore new destinations.